Suitable for all styles and types of guitar including acoustic, electric and bass. 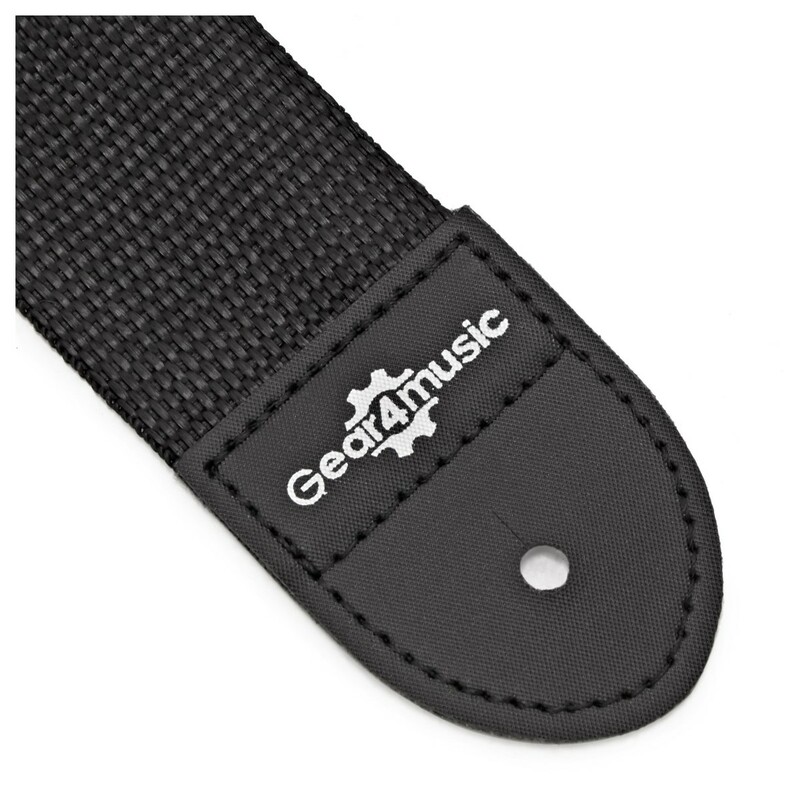 This is a black strap with a white Gear4music logo printed on it. Great value for all players. Fully extended length: 130cm. This is a high quality guitar strap, suitable for most guitars. 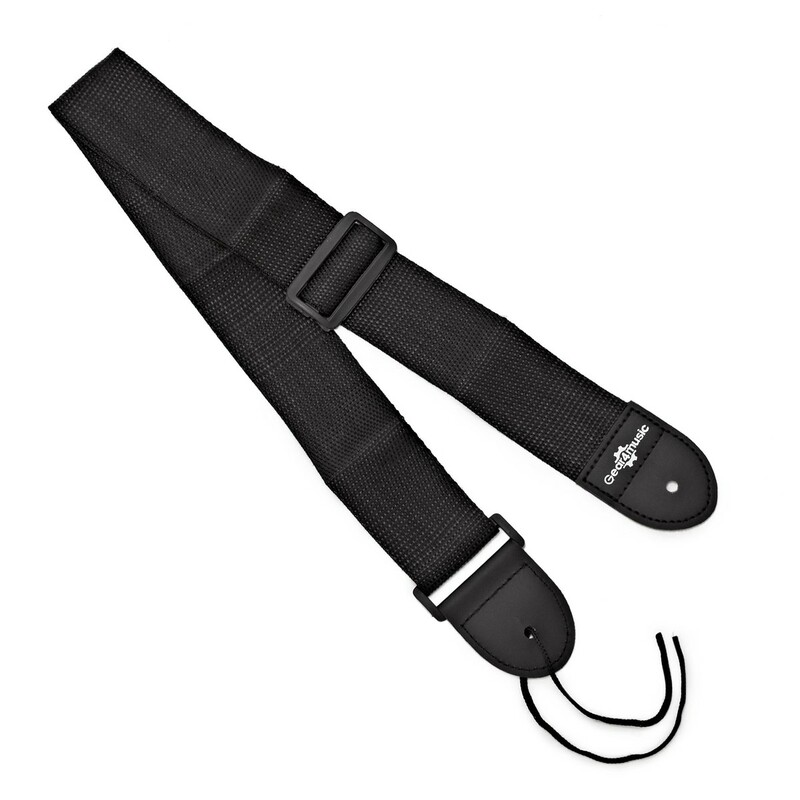 Sturdy nylon construction ensures good longevity, and string tassels are included for guitars with only one strap button. All this for a fantastic price!